Self-made Life Guru, Oprah Winfrey. They all want YOU! All three television lifestyle gurus want you to listen to them and put money in their pockets by listening to the things that they are trying to sell you on during their television shows but, are they really interested in your health or lifestyle or their own and who is behind their fame and the phenomenon? It’s no big secret that Oprah Winfrey, the former daytime talk show host and self-created guru, earns more than some small countries, with a net worth in the area of $2.7 BILLION and, an annual income of $315 MILLION. Let’s face it, the woman knew what she was doing once she caught on to how to do it. 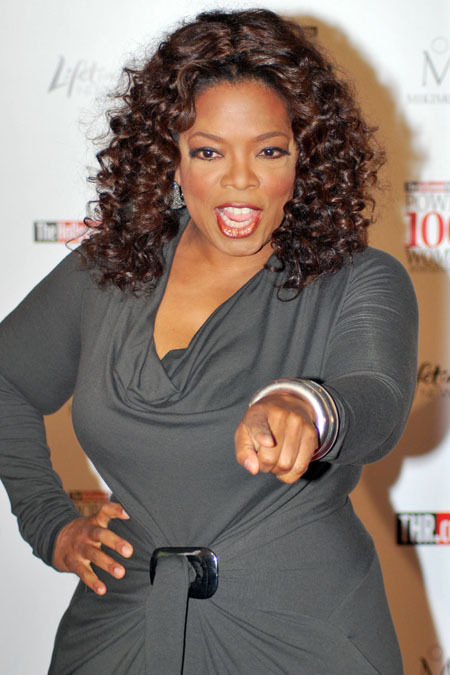 We all know that whatever Oprah endorses, millions in North America will leap out and buy, use or try to emulate. She’s done her homework, made mistakes and picked herself up out of the gutter to rise like the proverbial phoenix, rising from the ashes. Kudos to her for her ingenuity and tenacity which garnered her the fame and fortune to which she’s risen with a cult-like following that seemingly hangs on her every word. What’s even more amazing is the fact that once Oprah puts her endorsement stamp on other people’s heads, not only do they do well too but, they also become cult-like leaders with their own set of followers that make them wealthy. 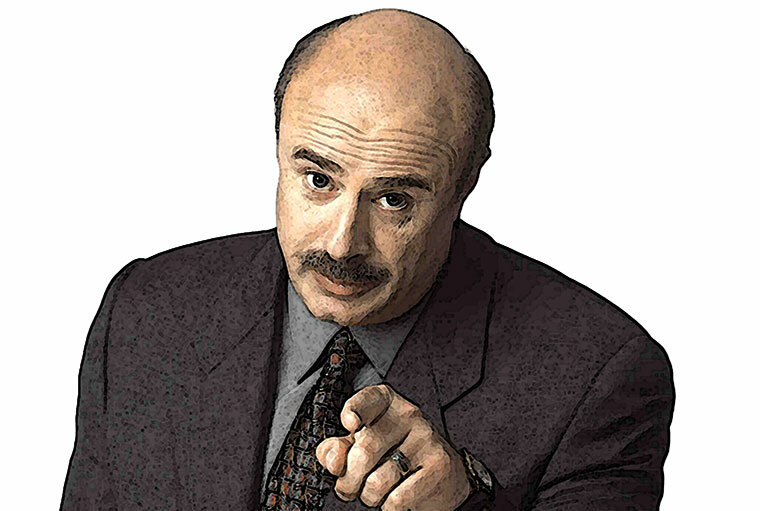 Dr. Phil McGraw and Dr. Mehmet Oz, are 2 of those who have fallen into the fame and fortune, tv style doc traps and are both seeing legal issues because of it but, still raking in the big bucks for doing it. 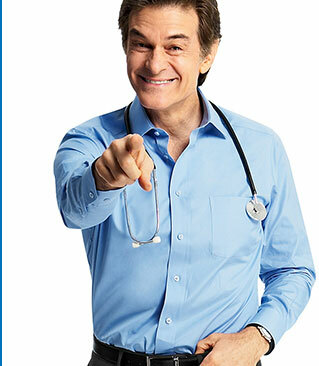 Dr. Phil McGraw (PhD in Clinical Psychology) and Dr. Mehmet Oz (Cardiothoracic Surgeon) had both followed in their father’s footsteps. McGraw had wanted to become a psychologist like his father and, Oz had done the same in fulfilling his wish to become an M.D. like his father. Both were practicing their chosen fields until the idea of more money came to the forefront for them. McGraw had joined his father in a family psychology practice in Wichita Falls, Texas after graduating with his degree. It wasn’t long before the day-to-day grind of being in an office, one patient at a time, seemed to become “old hat” to the father-son duo and they signed up with Thelma Box and created, “Pathways” seminars, an “experience-based training which allows individuals to achieve and create their own results.” Box was a successful Texas businesswoman, who was good at creating seminar based business and promotions. Eight years after starting with Box, McGraw suddenly sold all of his shares in the seminar company, not telling his father and went his own separate way, co-founding Courtroom Sciences, Inc. or “CSI” with lawyer, Gary Dobbs and became a Fortune 500 profitable business. At this point, he ceased the practice of psychology and “retired” his license a few years later. It was during this time that he met Oprah Winfrey and began doing segments on her talk show. What was clear in both men’s cases was the fact that neither of them wanted to actually practise their chosen fields in the hands-on way. Both had chosen to use their degrees and experience in the form of a public venue method, via lectures, papers, television and other media. Oprah had become their best vehicle to continue to do so and, she profited by their quest to garner public attention by eventually giving them and financially backing each of their own shows. To date, Oz’s net worth is in the area of some $14 million with $4 million annually, while McGraw has far surpassed that with an estimated $200 million worth and an annual salary of $50 million. No small potatoes for either man and certainly far more than what they could have earned by practicing hands-on in their chosen educated professions. Still, all 3 celebs earn big money each time both Oz and McGraw step in front of the cameras and a studio audience that remain backed by Oprah. She knows her “cash-cows” as she struggles with her network (OWN) and they know Winfrey is their Golden Meal Ticket. They scratch her back and she scratches theirs, making all 3 of them richer than they could have dreamed possible. Is it all roses and bank trips for Oz and McGraw? Not necessarily. Both McGraw and Oz have taken flack and even been in legal hot water due to content on their shows since they started and, McGraw is giving advice while no longer a legal psychologist. Oz has been under attack by medical boards for having promoted quackery in his weight loss aid claims while McGraw has had numerous legal problems due to his show’s topics, not the least which includes the ire of Oprah, herself for his intervention piece with Britney Spears. Both Oz and McGraw have entered into the weight-loss arenas (a topic near and dear to Oprah’s heart) and have been making money off of them. However, in today’s society where being overweight has hit a new high and “quick fixes” are in demand, both Oz and McGraw have seen their chances to enter the market and put money into their pockets along the way, on the backs of desperate, misguided people who are being led into the multi-billion dollar industry of weight-loss schemes. In short, it appears that money still makes the world go round and people dance. All 3 television gurus seem to have found their own Holy Grails by playing up to audiences who are desperate for free advice and help. Furthermore, what is clear is that both McGraw and Oz were already aiming to head down Celebrity Lane before they even met Oprah. Oprah simply became their vehicle while she saw visions of dollar signs, dancing in her head by backing them and giving them not only their starts but, their platforms as well as her backing. Neither of these men were truly in their professions for simply their profession’s sake. Both were already aiming for fame status as well as get-rich quick schemes. While the public watches these 3, hoping for insight, help, advice, a push, a nudge but most of all, hope…it’s clear that Oprah, Oz and McGraw know how to hone in to that type of desperation and use it to their advantage, even if it means duping the public or misleading it to do so. Fame and money drive them, not the betterment of society, in spite of their claims otherwise. Oprah didn’t ruin either of these men. She simply became the vehicle by which they drove themselves and, all 3 are laughing at their viewers while on their way to the bank. At least, that’s the way I’m seeing things from my little corner of the world.